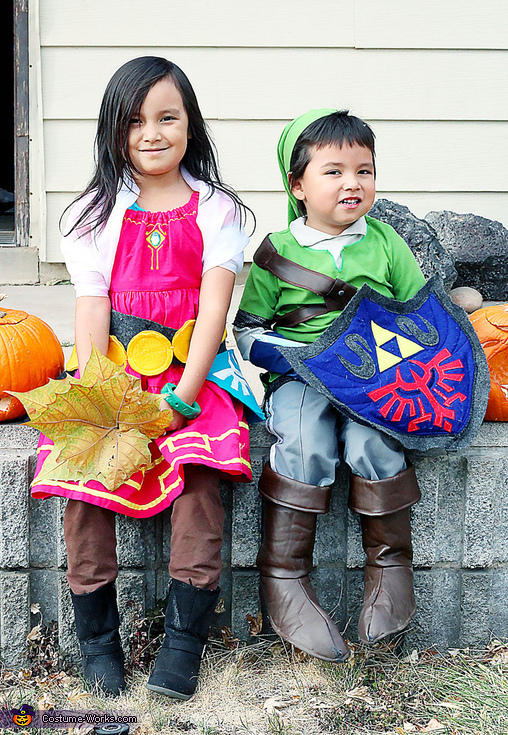 Here are my 3 year old son and 5 year old daughter in their too cute Skyward Sword costumes. My kids love, LOVE the Legend of Zelda (as do I) and they really wanted to dress up this way. I made my daughter's costume and my son's sword and shield. I can't get over how sweet they are and how much fun it was even though not very many people knew the Skyward Sword Zelda.